Arab Islamic civilization flourishing from the seventh to the fifteenth century spread to cover a vast area from China in the East and Spain in the West. Culture and science took jurisprudence from the Holy Quran and Hadith. Translation of earlier text was encouraged, as physicians occupied a high social position. Sleep and vigilance were discussed in medical context. 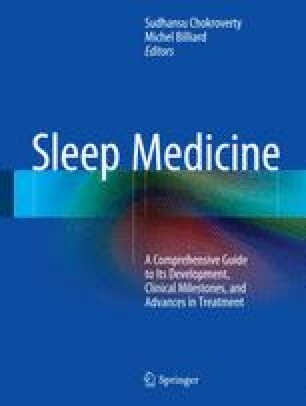 In Avicenna’s Canon, a chapter discusses many topics on sleep medicine that are still researched today. Insomnia, difficulty in breathing during sleep, and the change in sleep wake rhythm are all mentioned. Many physicians also contributed indirectly to the science of sleep medicine by helping in the establishment and advancement of hospitals (Bimaristans) during that era, stressing on comfort and help to sleep for patients. Wikipedia Contributors. Wikipedia, the free encyclopedia. [Online]. 2012. http://en.wikipedia.org/w//index.php?title=The_Canon_of_Medicine&oldid=511971595. Accessed 20 Aug 2012. Hashemi SM, Raza M. Science Daily. [Online]. 2009. http://www.sciencedaily.com/releases. Accessed 19 Aug 2012. Wikipedia Contributors. Wikipedia, the free encyclopedia. [Online]. 2012. http://en.wikipedia.org/w/index.php?title=%27Ali_ibn_al-%27Abbas_al-Majusi&oldid=511933070. Accessed 21 Aug 2012.